A stunning bird with black and white plumage and a red patch on its head. 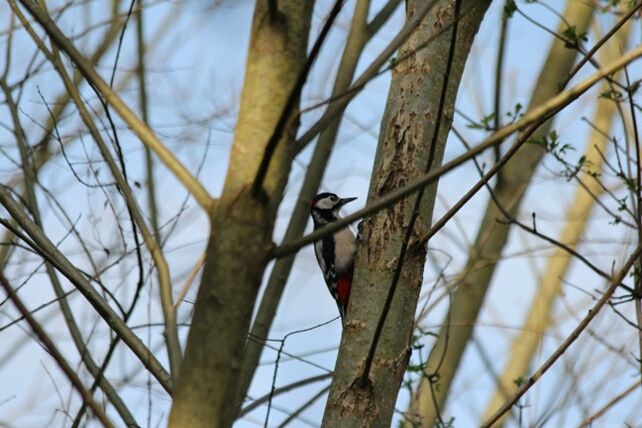 They chisel into trees to find food or make a hole for a nest.The drumming sound also attracts a mate. They lay 4 to 6 glossy white eggs and the parents take turns in incubating and then feeding the young. They are between 22 and 23cm long and have a wingspan of around 34 to 39cm and weigh in at approximately 85g. There are 140,000 breeding pairs in the uk.